Sunny Odds and Ends | Nos vemos amigos. Yay! Sunny again today, and a little warmer. Our language exchange was fun again, though last night’s crowd was much older than Sunday’s. It’s possible to attend one of these exchanges every night, if you want. Today, after two nights out in a row, we didn’t do much else but a sunny walk. 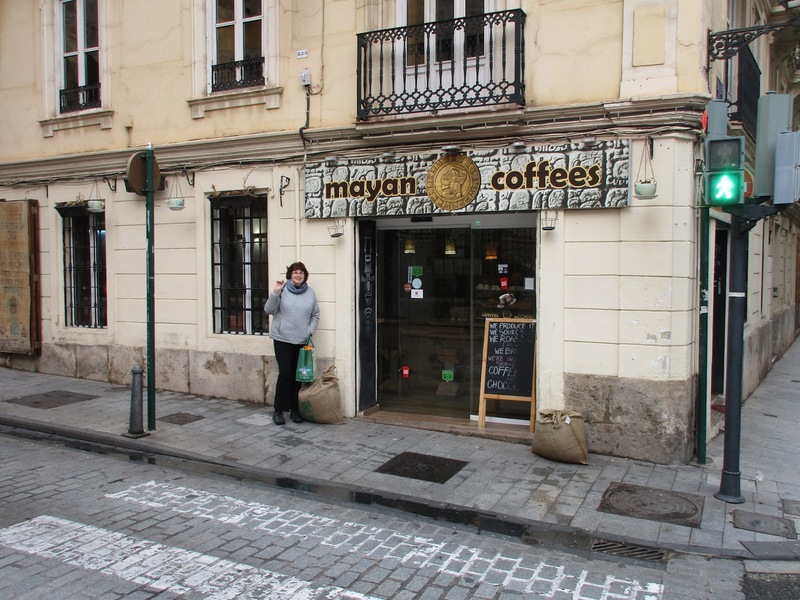 Our day usually starts with a trip to Mayan Coffees. Here, Oscar, our friend from Guatemala, makes the best coffee I’ve ever had. His coffee is strong and smooth, no bitterness or burnt flavor (como Starbucks). 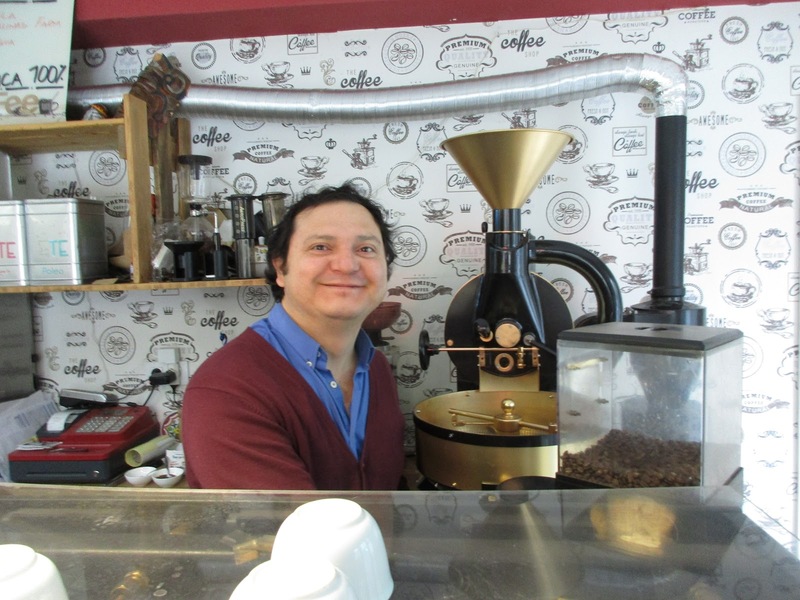 This coffee opens your eyes and your attitude, and Oscar’s shop is no nonsense. He imports four coffees, and each day makes just one of the four. You don’t have to worry about choosing. You get the coffee of the day in espresso or americano style. No pastries, no donuts. But it’s sooooo good, we go there most everyday. The price for his world class coffee is 1,50€, and since the exchange rate is so good right now, that’s not too much more than $1.50. Other things here are also very cheap. 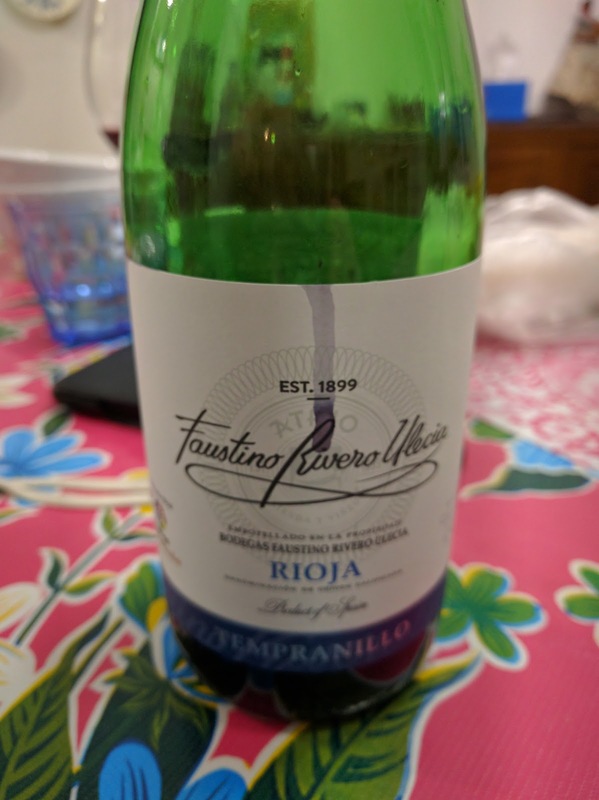 Here’s the wine we like. It costs 1,50€. That’s not for a glass, it’s for a bottle. Even at restaurants and cafes, costs are low. Two coffees with croissants at the fancy Cafe de las Horas, luxury surroundings for sure, cost 5,00€. During the language exchange at the same cafe, Mary and I each had 2 glasses of wine. Total cost was 10,00€. A great baguette might be as cheap as 0,60€, and the other day I bought a dozen delicious, fresh tangerines for 1,30€. It’s possible to live cheaply and well here. Wow, how nice to get such continually fresh and healthy food for such a good price. All the fresh and inexpensive food is one of the best things about being here. It really changes your eating habits for the better.